The Frente Amplio government has adopted the hurtful and cowardly attitude of attacking a fraternal people and government. It is really painful the attitude that the Government of the Frente Amplio of Uruguay is taking with regard to what is happening in Nicaragua with the small fascist groups that want to disturb the peace that the vast majority of the population of this Central American country wants. 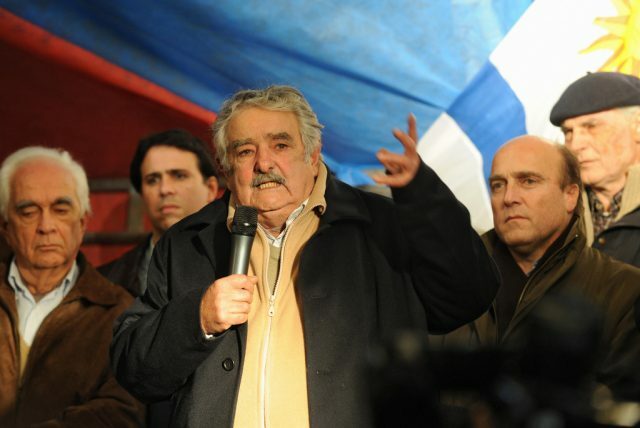 The worst thing is that the Frente Amplio government supports fascism overseas at a time when, not just the Left, but all the Uruguayan people, are seriously threatened by the same sectors that some time ago now imposed a dictatorship that, in very short order, encouraged hundreds of thousands of Uruguayans to “see the world”. As compatriots, a few of us have found in these lands of Sandino, what most resembles soemwhere that, as Washington Benavides wrote, “will have to be like a plain, where everyone is on the level, treading the same ground”. Is it a perfect country? No. Not at all. Furthermore, it’s a very poor country. But it is a country with a suffering, generous, struggling and supportive people, who have opened the doors of their hearts and allowed us to fight as one with them , sharing our joys and sorrows. This people in this small country in the heart of America has not only offered us the homeland of Sandino, but also the greater homeland of Our America in which, of course, also has room for a little country down there in the Southern Cone. That is why it hurts us when we learn of the provocations and the coup-mongering excesses of the now deposed head of the Army, son of a fascist who was head of the gangs of submissive youth and the coup leaders who 50 years ago applied State terrorism, plunging Uruguay into a black night to which no one but a few very sick souls want to return. But it hurts us even more knowing that, in the midst of that very situation, the Progressive Government of the Frente Amplio makes a point of defending the fascists in this small country that has only ever shown solidarity to the people of Uruguay. According to a report in the newspaper La República of today, March 18, the Uruguayan Foreign Ministry issued a declaration on Saturday, March 16th, “energetically” condemning “police violence” against “opposition demonstrators” who were demanding the release of “political prisoners”. These “opposition” activists deliberately demonstrated without requesting authorization in an act of clear defiance of the rule of law in the country. They did so in order to boycott the peace negotiations taking place with the opposition. These sectors do not represent all the opposition at all, only their most radical and violent groups. How else can one explain that, despite having called for nationwide protests, all that took place a few isolated incidents in certain parts of the capital city? These groups have no popular support. They are anti-people. Their demonstrations are small pickets surrounded by an equal or greater number of cameramen and right-wing media journalists. As proof of their lack of social roots are the images of those same groups yesterday afternoon indiscriminately attacking the people who were shopping in the Metrocentro shopping mall. Just a few dozen unabashed fascists (like the groups led by retired General Manini Ríos in Uruguay in the 1960s), attacking families with children, breaking motorcycles and parked vehicles. That’s what those groups are. And the “political prisoners” whom they say they want to “liberate” are people who tortured, killed and burned people alive on the mere suspicion of being Sandinistas. No prisoners have been “set free” in the sense manipulated by the coup plotters. What has happened is a change of regime from prison to house arrest for 150 out of a total of around 400 (not 700, as they claim) prisoners sentenced for participating in terrorist crimes during the failed attempted in 2018. The vast majority of the Nicaraguan people want peace, they want to work, and they want the country to move forward. This is something that any honest person can see in every corner of the country. In addition, polls, like the world-renowned Mitofsky agency confirm in a recent study that Commander Daniel Ortega has one of the highest levels of popularity in our continent and even worldwide. Why? Simply because a significant majority of the population recognizes that their government is genuinely committed to the welfare of society. Are there people who are against the government? Well, they will have to go to elections, and they will do so in the best and most transparent conditions, of that there is no doubt. But without violence. Without roadblocks. Without torture and without murder. And with a political agenda, with discussion of proposals, with programmes and with arguments. That, in Nicaragua as well as in Uruguay, is called democracy. Instead of condemning the real police violence of the French police against the Yellow Vest protestors, the Frente Amplio government has adopted the hurtful and cowardly attitude of attacking a fraternal people and government. We know this is not the position of all the parties of the Frente Amplio, and that it is not the position of all the party activists, but it hurts, it hurts us, to see how sometimes those who should be defending our Patria Grande play into the hands of those who want to destroy it. And most seriously, to help the self-same fascist wolves who want to destroy our peoples.